A U.S. "Forever" postage stamp does commemorate two Islamic holidays, but it has nothing to do with President Obama or Christmas. President Obama has directed the issuance of a Christmas postage stamp commemorating two Islamic holidays. Can anyone be supprised that A Muslim Communist OBAMA would direct the Post Office to do this??? Remember Obama has referred to MY Muslim Religion several times, maybe a Freudian slip, huh??? USPS New 42-Cent Stamp!!! Celebrates Muslim holiday. If there is only ONE thing you forward today.... let it be this! REMEMBER the MUSLIM bombing of Pan Am Flight 103! REMEMBER the MUSLIM bombing of the World Trade Center in 1993! REMEMBER the MUSLIM bombing of the Marine Barracks in Lebanon ! REMEMBER the MUSLIM bombing of the military Barracks in Saudi Arabia ! REMEMBER the MUSLIM bombing of the American Embassies in Africa ! REMEMBER the MUSLIM bombing of the USS COLE! REMEMBER the MUSLIM attack on 9/11/2001 ! REMEMBER all the AMERICAN lives that were lost in those vicious MUSLIM attacks! Now President Obama has directed the United States Postal Service to REMEMBER and HONOR the EID MUSLIM holiday season with a new commemorative 42 Cent First Class Holiday Postage Stamp.. REMEMBER to adamantly &amp; vocally BOYCOTT this stamp, when you are purchasing your stamps at the post office. All you have to say is "No thank you, I do not want that Muslim Stamp on my letters!" To use this stamp would be a slap in the face to all those AMERICANS who died at the hands of those whom this stamp honors. REMEMBER ~ Pass this along to every Patriotic AMERICAN that you know and let's get the word out !!! Here is something to chew on... They (MUSLIMS) don't even believe in Christ, &amp; they're getting their own Christmas stamp! BUT, don't dare to dream of posting the ten commandments on federal property! This is truly UNBELIEVABLE !!! A U.S. postage stamp commemorates the Islamic holidays of Eid al-Fitr and Eid al-Adha. The stamp was created and issued long before Barack Obama became President, and it is not a "Christmas" stamp. 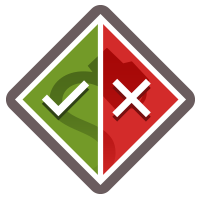 The stamp described in the Example section above exists, although it is not new, it is not a “Christmas stamp,” and it has nothing to do with President Barack Obama. The EID stamp was a 2001 USPS Holiday Series stamp commemorating two Islamic holidays that have no connection to Christmas. It was introduced by the United States Postal Service (at the then-current 34-cent rate) as part of its Holiday Celebrations Series on 1 September 2001, just ten days before the September 11 terrorist attacks on New York and Washington. It has since been reissued (with varying background colors) at updated first-class postage rates in 2002, 2006, 2007, 2008, 2009, and as a Forever stamp after 2011. The Eid stamp commemorates the two most important festivals — or eids — in the Islamic calendar: Eid Al-Fitr and Eid Al-Adha. 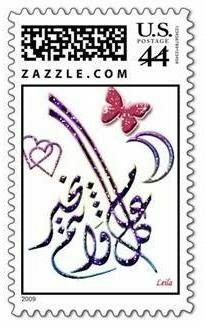 On these days, Muslims wish each other “Eid mubarak,” the phrase featured in Islamic calligraphy on the stamp. “Eid mubarak” translates literally as “blessed festival,” and can be paraphrased as “May your religious holiday be blessed.” This phrase can be applied to both Eid al-Fitr and Eid al-Adha. The EID commemorative is often mischaracterized as a “Christmas stamp,” but it has nothing to do with Christmas other than that it is part of a series of U.S. postage stamps commemorating several diverse celebrations, some of which generally occur around the November-December “holiday season” timeframe (Christmas, Hanukkah, Kwanzaa, Thanksgiving), some of which occur at other times of year (Cinco de Mayo), and some of which move around from year to year relative to the Gregorian calendar (Eid Al-Fitr and Eid Al-Adha). An August 2009 version of the “Muslim stamp” e-mail added the claim that “President Obama has directed the United States Postal Service to REMEMBER and HONOR the EID MUSLIM holiday season with a new commemorative 42 Cent First Class Holiday Postage Stamp.” This statement is manifestly false: The EID stamp was introduced in 2001, eight years before Barack Obama became President of the United States, and USPS stamp designs are chosen by the Citizens’ Stamp Advisory Committee (CSAC) and not by U.S. presidents. The issue of “boycotting” a stamp that commemorates Islamic holidays is largely moot, since EID stamps are generally a specialty item sold mostly to postal customers who specifically request them. 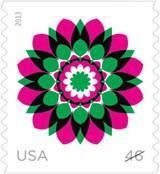 Moreover, the EID stamp is an ordinary first-class postage stamp; all proceeds from its sale go to the USPS, not to any Muslim-related groups or organizations. The EID stamp is also not the first or only governmental or commercial recognition of these Islamic holidays in the U.S. The American greeting card manufacturer Hallmark has produced a variety of holiday cards celebrating Eid al-Fitr, and President Obama’s predecessor in the White House, President George W. Bush, extended official greetings, issued messages, participated in commemorations of both Eid al-Fitr and Eid al-Adha (even after the September 11 attacks), and promoted the EID stamp via the White House web site.